Casting news? Not just yet. Ryan Gosling says he's "working on" asking Blade Runner 2049 co-star Harrison Ford for a role in the new Indiana Jones movie. Last year it was announced Ford would be returning for another Indiana Jones movie, which will be directed by Steven Spielberg. Alan Horn, chairman of The Walt Disney Studios, told E! News in a statement back in 2016, "Indiana Jones is one of the greatest heroes in cinematic history, and we can't wait to bring him back to the screen in 2019." The statement continued, "It's rare to have such a perfect combination of director, producers, actor and role, and we couldn't be more excited to embark on this adventure with Harrison and Steven." Now in an exclusive new interview with E! News, Gosling addresses whether he's asked Ford for a role in the upcoming movie. "I'm working on it man...easy," Gosling replies. He then jokingly adds, "You just blew it for me. Too soon." Ford then says, "I'm trying to wrap my head around that. Too soon." It looks like we'll have to wait and see about that casting announcement! 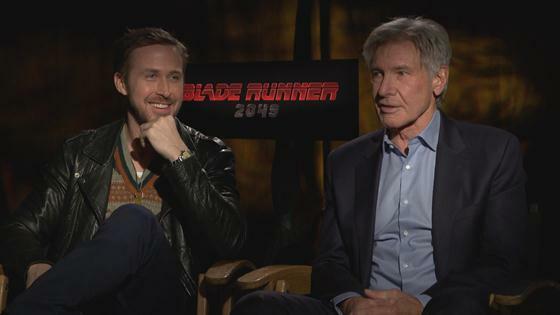 Watch the video above to see Gosling and Ford talk about Blade Runner 2049 and Indiana Jones!